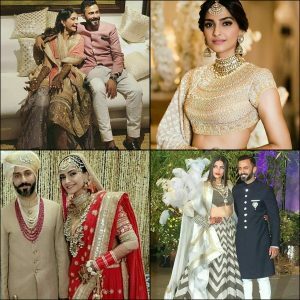 The most awaited wedding of this season finally took place a day before yesterday, the ultimate fashionista of Bollywood, the beauty with a vivacious smile, Sonam Kapoor got married on 8th May, 2018 with the handsome business man Anand Ahuja in Mumbai. 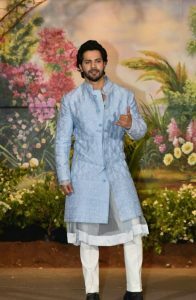 While everyone else kept their eyes on the wedding rituals and ceremonies, we were eagerly waiting for the arrival of Bollywood stars to witness who wore what at the wedding. 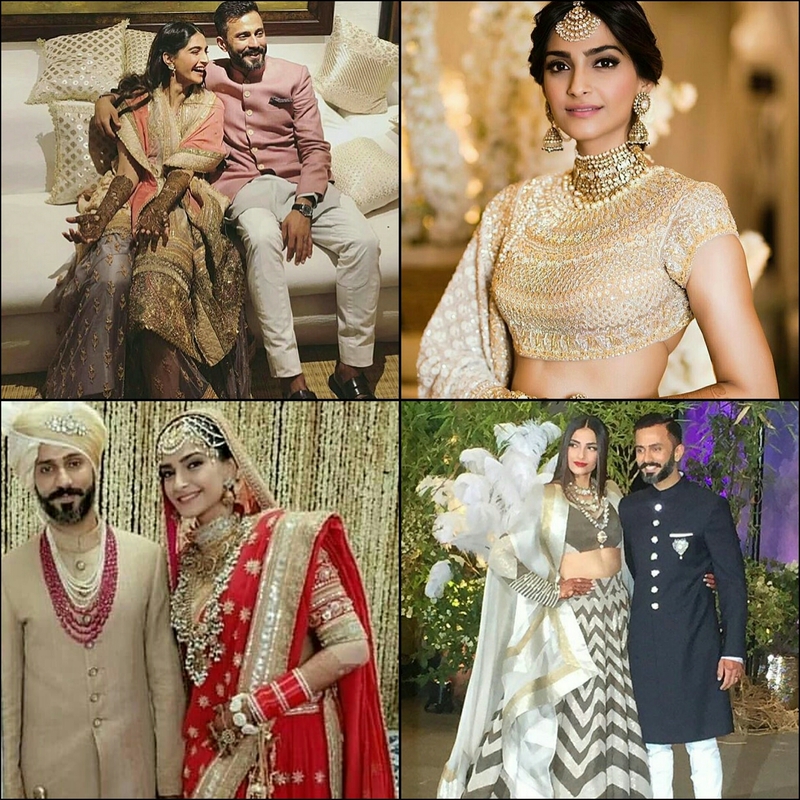 Sonam kapoor’s wedding was not less than a fashion runway & it seemed like she personally selected everyone’s look because everyone was wearing fabulous clothes but there were few people who even failed to impress us. 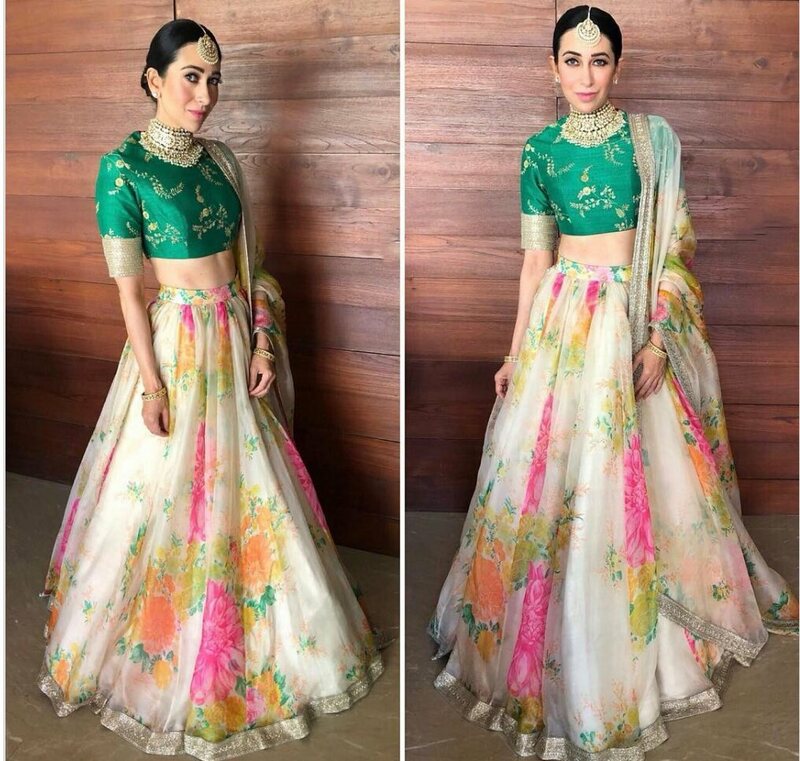 Before starting first let’s have a look on what the bride wore at her ceremonies & we give a big thumbs up to all her looks whether it be the sharara she wore at her Mehandi, her sangeet lehenga, her wedding attire or keeping things minimal at the reception, we loved it all. On number 1 in our list is the budding star who is recognized as the shadow of her mother, Jhanvi Lapped, this beauty wore a Manish Malhotra lehenga in pastel colors and her elegance won our hearts. Kareena Kapoor- This gorgeous lady wore a golden color legends designed by Manish Malhotra & impressed us by not only her fashion sense but her weight loss journey too, she is a diva in true sense. Shilpa Shetty- The number 3 spot was slayed off by the ever so stylish Shilpa shetty kundra, she never goes wrong with her fashion choices, her soft hue saree with trendy drape stole the show. 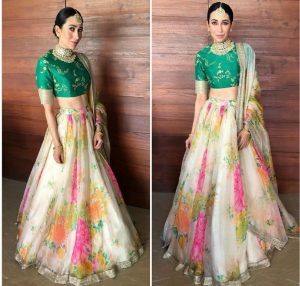 Karishma Kapoor- On number four if the evergreen beauty, karishma kapoor who chose to wear a Sabyasachi lehenga & blocked everyone with the popular color blocking style. Khushi Kapoor- Next on our list is another kapoor, khushi kapoor, all her styles she wore in the ceremonies have become the talk of the town but her reception dress topped them all. She wore a Manish Malhotra outfit in pink with feather detailing at the hem & with her charm, grace and style she showed everyone that she is here to stay. 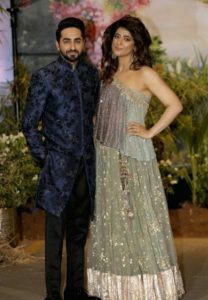 Tahira kashyap:- She is famously known as Ayushmann khurana’s wife, we don’t have words to describe or from where should we start, the color, the silhouette nothing impressed us and even her hair was imperfectly done. 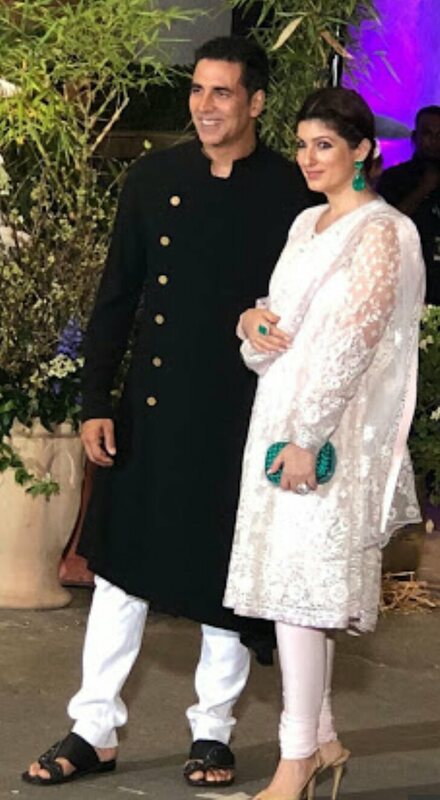 Twinkle Khanna:- We adore your work & even the tweets but we are still wondering what made you chose this knee length suit? Thumbs down to you ma’am. Varun Dhawan- We know that see through clothes and sheer fabric is in trend this summer but it is definitely not favouring your style, a big no-no. 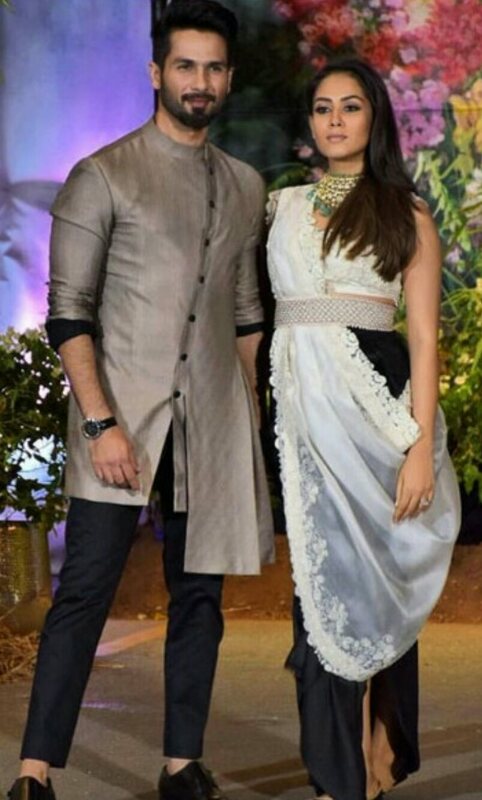 Mira Rajput- We agree that everyone wants to look different but everything is looking too different in your look, the color, the jewelry everything is a mis-match. 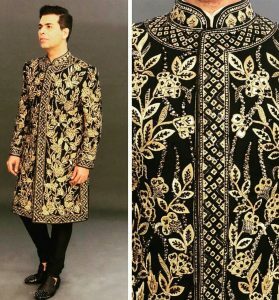 Karan Johar- Last on our list is the famous Karan Johar, the outfit he wore in the reception is what we chose not to wear anywhere. These Bollywood weddings are not less than a big movie, dramatic and happy but they give us good things to praise & write. We wish Mr & Mrs Anand Ahuja a blissful marriage. God bless the couple. 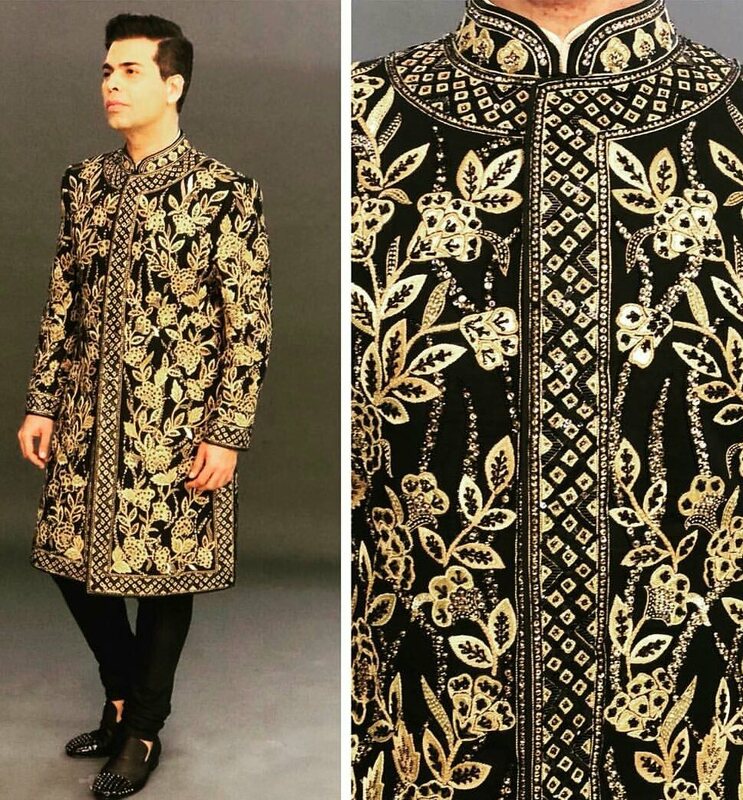 Let’s see who gets hitched next, till then…..Be Fashionable…..!! !